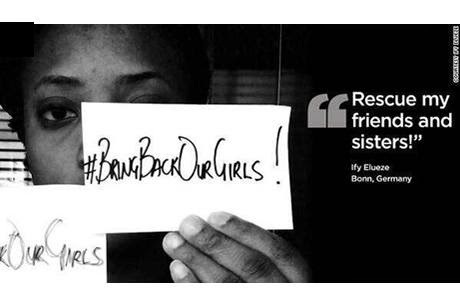 All Saints' Blog: Bring Back our Girls! It has been very disturbing to me that about a month ago 276 School Girls from Nigeria were kidnapped and taken violently from their school. It has taken about three weeks for most of the world to become aware of this sad event. The Militant group that kidnapped the girls is threatening to sell the girls as brides for $12! The basic reason for the kidnappings is that the girls were being educated. The Nigerian Government has been slow to act and the safety of the girls and their future is in doubt.